Steady sales gains reported for Washington, D.C.
Home sales in Washington, D.C., saw a steady increase in January according to a report from RealEstate Business Intelligence. Last year was a slow year for sales in the market, but January is normally quiet so the figures are encouraging. Pending or under-contract sales were up by 6.2% from a year earlier and there were increases in closed sales (4.5%), median sales price (4.1%) and active inventory (17.9%). 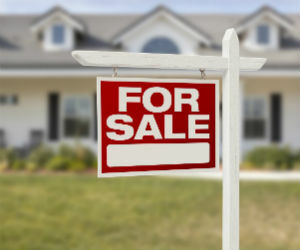 Corey Hart, who wrote the report, told The Washington Post that the “steady gains” could mean that this year’s spring buying season outpaces last year’s. Read the full story. The median price of a single-family home in Cambridge, Massachusetts, is now 80% higher than it was at its peak before the recession. Boston realtor The Warren Group said that the city leads 46 communities in the state that have higher median prices now than in 2005. Areas such as South Boston and Lexington, Massachusetts, have seen strong growth. However, many parts of the state have not recovered from the downturn; Athol, Massachuetts, for example, has a median price that is 39% lower than in 2005. Read the full story. Former Philadelphia Sixers coach Larry Brown, now at Southern Methodist University in Dallas, has finally sold his Bryn Mawr estate. The seven-bedroom, nine-bathroom home on 10,800 acres was purchased by Brown in 2006 for $5.65 million and was put up for sale two years ago for $7.85 million. Despite the attraction of a pool, exercise room and private theater the home has sold for less than the purchase price and almost half the original asking price, at $4.02 million. Arizona’s realtors are gearing up for the return of those who lost their homes during the recession. An estimated 350,000 so-called ‘boomerang buyers’ are becoming eligible for home loans again, and property analyst RealtyTrac believes that between now and 2022 they will return to the market. Phoenix ranks third in the league of expected choices for boomerang buyers, behind Riverside-San Bernardino, California, and Los Angeles. Read the full story.